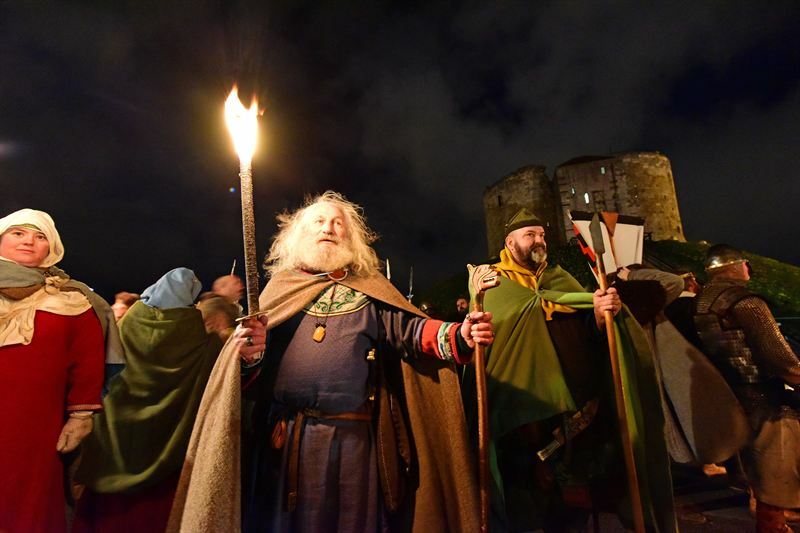 Home » Historical » Medieval » Mead Tasting and Beard Contests: Ready for Jorvik Viking Festival? The 2018 JORVIK Viking Festival will be the first since the reimagined JORVIK Viking Centre opened at Easter 2017, and takes York’s Norse history right back to its ‘origin’ story – the invasion of the Anglo Saxon city of Eoforwic by the Great Viking Army on 1 November 866. A new exhibit in JORVIK Viking Centre will feature parts of the Watlington Hoard, one of the most important Viking-age hoards ever found in England. Gareth Williams from the British Museum will host an after-hours tour of the attraction, with a talk about the hoard (Thursday 15 February, 6.30pm, £20 per person). There will be Vikings a-plenty around the city with have-a-go archery and sword-fighting workshops and throughout the week in Parliament Street alongside a Viking encampment, there will be the annual parade of Vikings through the city of York – including a column of warriors stretching from one end of the city to the other on Saturday 17 February (departs 1pm from Dean’s Park, adjacent to York Minster). New for Jorvik Viking Festival 2018 will be a Viking farm with birds of prey at JORVIK’s sister site, DIG in St Saviourgate running daily, an evening of mead tasting with the Lancashire Mead Company on Wednesday 14 February (7pm at Barley Hall, tickets £25 per person), and Viking Age Crafting in the Festival Yurt on Parliament Street. Here, visitors will try their hands at a range of Norse-inspired crafts, from pottery to pole-lathe necklace making each day from 10am – 4pm in St Sampson’s Square (£2 per craft or three for £5). 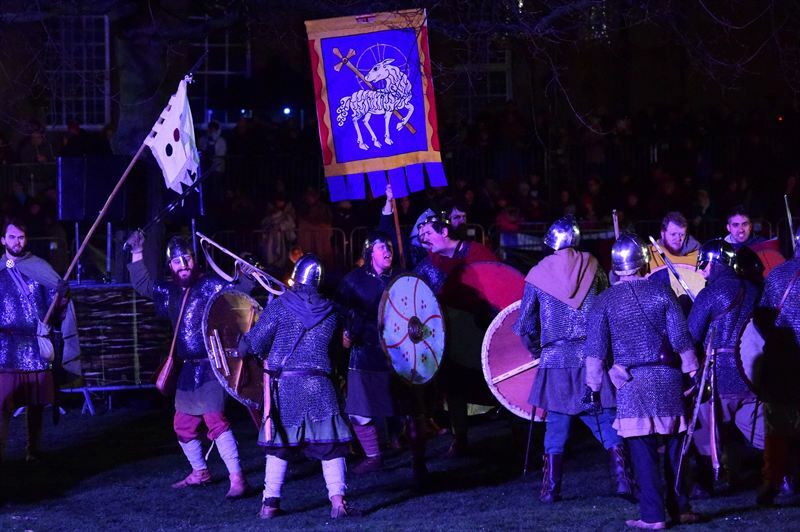 The annual Strongest Viking Competition and the Best Beard Competition return to Coppergate Square (outside JORVIK) to entertain the crowds – both free activities with no tickets required! “We’ve already had a huge response to some of our very special events, including the Viking banquet and acoustic performance by world-renowned musician Einar Selik, and tickets are selling fast for the Fiery Finale on Saturday night, so we are hoping that this will be our best-attended Festival ever,” adds Paul. 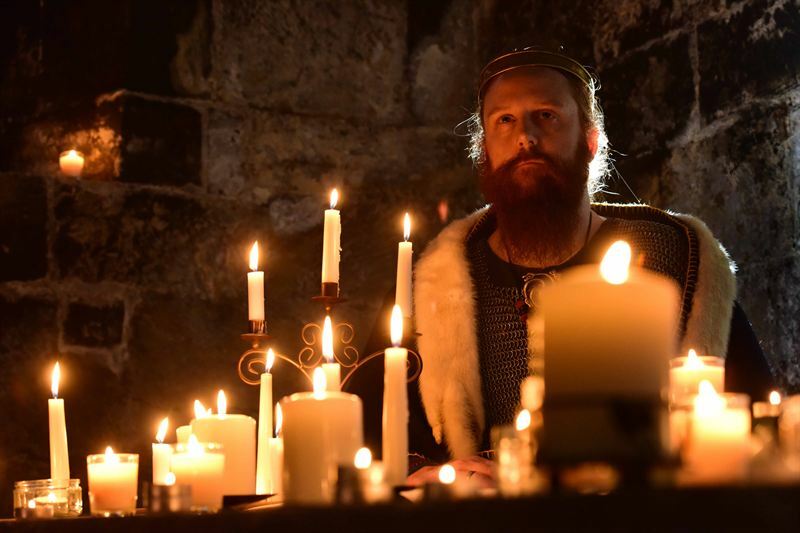 “Time slots for visits to JORVIK Viking Centre are also booking up, as people plan their visits around some of the must-see events.” The finale will incorporate a cast of fearsome warriors, sound and light effects and pyrotechnics. Top experts will discuss Viking beliefs and rituals at the Richard Hall Symposium on Sunday 18 February. (De Grey Court Lecture Theatre at York St John University, 9am to 5pm. Adults £30, concessions and friends of YAT £25). The full programme for the 2018 JORVIK Viking Festival is available at www.jorvikvikingfestival.co.uk, where you can also book tickets for many of the main events.